Translate web pages by using Google Chrome.Some website offer to translate their website article but unfortunately all webmaster do not use Google translate code to translate their website pages . But still you can translate website page or article in Google chrome. 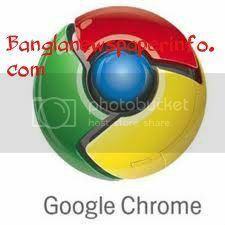 Download Google chrome as your browser . Now use Google chrome as your website browser . Now access your desire website . If website articles are different language such France,Arabic ,Bengali any other language expect English . Now can translate this website page to English or any other languages. Now just click on your right button of your mouse then you will get few more option such as back ,reload,save ,print ,translate to English,page view ,page source etc . But you have to choose simply translate to English and click on this option. Now you will see this website page articles are being translate and you will get few more option to translate your website page to different language just look at over the website page . Hopefully you will able to translate website page by using this Guideline but if you are not able to do please leave a message .